You may want to explore the resources & workshops that are highlighted on the LSC-Montgomery Career Workshops page. Launch Your Career! Our preferred job search web site for students and alumni is CareerStar which includes on-campus, off-campus, internships and employment opportunities. Access over 6000 job openings & internships in your field of study. Use Resume/Builder TM to create a professional resume. To gain access to the CareerStar site, please email a TRAC representative. Once your message is reviewed, a follow-up email will be sent to you with a PIN & link to connect to the site. 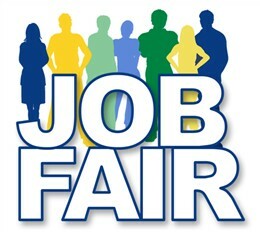 Want to make sure your resume is job fair ready?! Contact the TRAC Center for an appointment! For more job opportunities, check out the Job Rounder in the TRAC Center for an updated look at local full-time, part-time, seasonal job/internship postings. Or, for information on researching careers, go to: Career Related Topics. Are you an employer needing to post a position? Flyers can be brought to the front desk of the TRAC Center or e-mailed to Tara.Devoley@lonestar.edu. Flyers will be posted for approximately 30 days. Job postings for full-time or career-related positions can be posted on CareerStar. CareerStar is an online job-posting database available to Lone Star College students and graduates. To post a job here, send the following information to LSC-jobplacement@LoneStar.edu. Questions about CareerStar postings can be directed to Carla Laubscher at 281-290-2997. For more information on Employer Guidelines and other recruiting opportunities, please access www.lonestar.edu/employer-information.